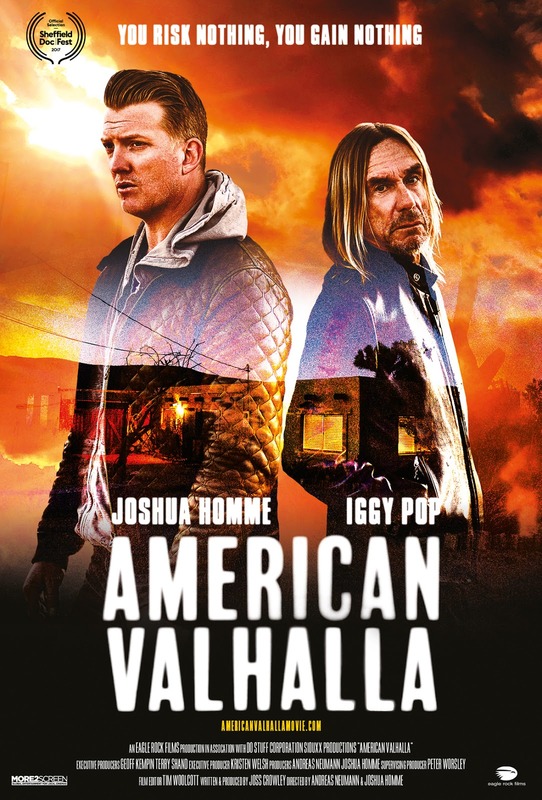 New York, NY (May 31, 2017)--More2Screen and Eagle Rock Films proudly present the theatrical release of American Valhalla - a documentary recounting the musical journey of Iggy Pop and Queens Of The Stone Age frontman Joshua Homme. Co-directed by Homme and Andreas Neumann, the film explores the collaboration that evolved into the release of Iggy Pop’s most recent album Post Pop Depression (2016) and a subsequent critically-acclaimed tour. American Valhalla traces this kinship from Iggy’s initial text to Homme, through the album’s creation and the following tour, narrated by only those who were there. A young Joshua Homme spent his days blasting Iggy Pop’s Repo Man theme from his boombox - the raw, raging sounds driving his hands to pick up a guitar and make a rock ruckus all his own. Fast forward a few decades -- his idol gets in touch with him out of the blue, and asks if he’d like to work on some songs. A casual collaboration developed into a landmark release for both artists: Post Pop Depression. 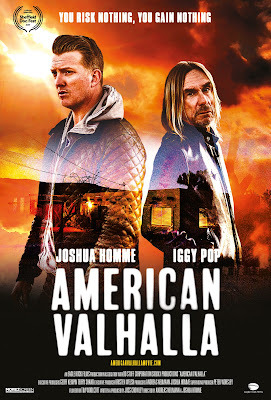 American Valhalla follows Iggy, Homme, his Queens Of The Stone Age bandmate Dean Fertita (guitar), and Matt Helders (drummer - Arctic Monkeys) as they wrote and recorded Post Pop Depression -- in total secrecy -- at Rancho De La Luna studio in the Mojave Desert. The film sits the viewer right in the room with Iggy, Homme, & co. behind the boards and between the riffs, examining their creative process. Lyric sheets, letters and journal entries open the doorway to the chemistry and energy of their musical experience. In the midst of planning the tour to support the album, Iggy receives news of David Bowie’s passing, moving him to deep contemplation of his own impermanence and legacy…We watch him, at his most vulnerable, rehearse with Homme, Fertita and Helders, Queens Of The Stone Age’s Troy Van Leeuwen (guitar) and journeyman bassist/guitarist Matt Sweeney. Kicking off at the Teragram Ballroom in Los Angeles last March, the tour culminated in a final, explosive show at the Royal Albert Hall in London (captured on Post Pop Depression: Live From The Royal Albert Hall, which was released on DVD and Blu-ray via Eagle Rock Entertainment last fall). With conversations led by Anthony Bourdain, complemented by stunning photography and cinematography by Andreas Neumann, American Valhalla sets its lens on the journey from the studio, to rehearsals, to the concerts, capturing the growing bond between the musicians every step of the way. Amidst this unflinching portrait of inspiration and creativity, a central mantra of American Valhalla’s 81 minutes is revealed: “You risk nothing, you gain nothing”. Theater tickets on sale soon. (May 31st, 2017 – Oxnard, CA) Ovation Guitars is proud to announce the release of the Glen Campbell Signature Model acoustic/electric guitar. 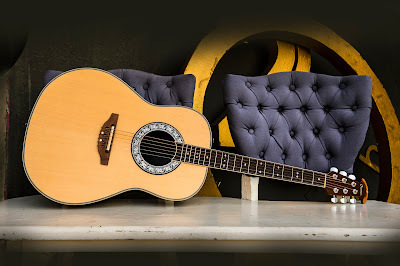 Working in cooperation with the Campbell Family, Ovation has meticulously hand-crafted a precise recreation of Campbell's iconic “1771” model guitar with a AA solid Sitka Spruce top, 5-piece mahogany/maple neck with ebony fingerboard & walnut bridge and a center sound hole design with inlaid maple leaf rosettes. In addition, the fretboard is adorned with classic diamond inlays and a mother of pearl Glen Campbell signature. 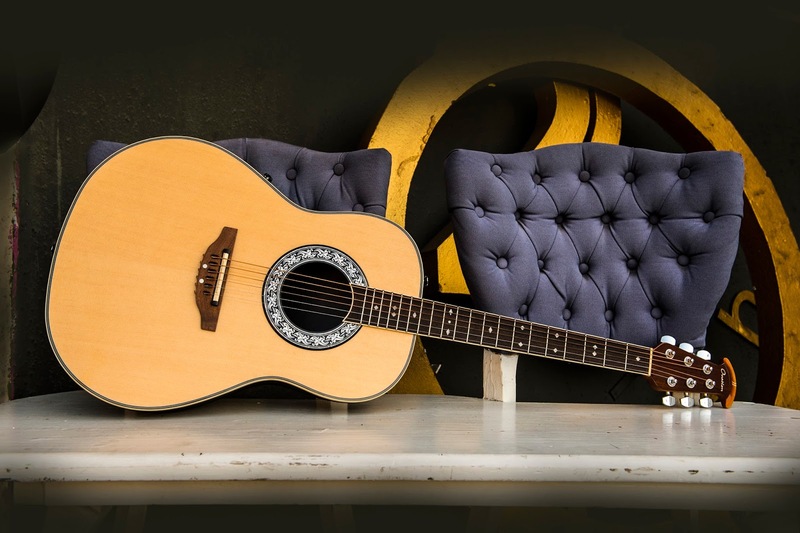 Handcrafted in Ovation’s Custom Shop located in New Hartford, CT – the Glen Campbell Signature Model features ‘70’s vintage-style electronics to recreate the identical guitar tone of Campbell’s original six-string. The collectible guitar comes in a 9158-0 deluxe molded case. The Glen Campbell Signature Model also features a shallow, "Vintage Style Lyrachord" body used on early Ovations from the 60's and 70's which was designed to deliver a strong mid-range and bright high-end which helps every note stand out in an arrangement and is ideal for stage and studio alike. The shallow bowl is extremely durable and maintains the outstanding string-to-string balance of original Ovation designs. This diminutive depth provides extraordinary playing comfort ideally suited to smaller players and those who prefer a slim-profile instrument. Designed to reduce hum and line noise, the FET preamp delivers stunning stereo output, and waist-mounted individual volume and tone controls are quick and easy to adjust while performing. A contemporary version of the electronics that launched the Adams acoustic/electric line in 1979, the FET preamp is an Ovation classic. The model is available in a choice of hand-sprayed Natural or Sunburst Nitrocellulose lacquer. In 1969, Glen Campbell became one of the first-ever Ovation Guitars endorsers and via his nationally syndicated television program, “The Glen Campbell Goodtime Hour” he brought an Ovation guitar directly into millions of Americans households on a weekly basis. Over the next four decades, Ovation worked closely with the multi-Grammy® Award-winner and Country Music Hall of Fame Inductee to create many of his iconic guitars. In fact, it was Campbell’s desire to be more mobile on stage which inspired the development of Ovation’s acoustic/electric piezo pick up system. “I didn’t like having the mic in front of the camera,” said Campbell in an interview. “I kept pressing Ovation to come up with a solution." In addition to the USA-made models, Ovation will also offer high-quality, mid-priced models that will be offered in cutaway and non-cutaway. Several bona fide legends are featured on new must-own DVD/Blu-ray and audio CD titles, while several under-the-radar releases will also awe discerning listeners. Tell me more: One of the most interesting and insightful rock 'n' roll documentary films in memory, director Paul Dugdale's Olé Olé Olé! A Trip Across Latin America chronicles The Rolling Stones' historic 2016 tour through 10 Latin America cities. 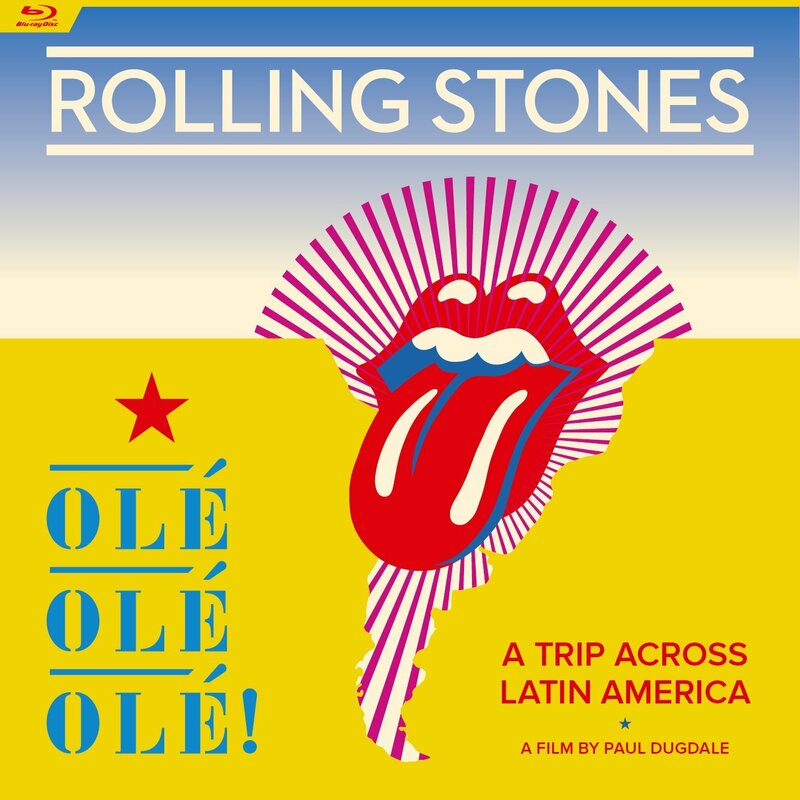 This is a multi-layered film; while the obvious focus of the documentary is to champion the legendary British band's legacy and the complex bond shared between the members of the group, the film provides a simultaneous look at the challenging logistics of setting up a free concert in Cuba amidst an ambitious tour attracting massive and adoring audiences from Argentina north to Mexico. The film is beautifully shot and really captures the colorful places and people throughout the Rolling Stones' tour. In addition to the full-length film, bonus features on the title include seven full-length performances caught along the way including an incredible version of "Out Of Control" in Buenos Aires, Argentina and free wheeling "Miss You" delivered in Lima, Peru. Information: eagle-rock.com. Tell me more: When you're a member of Bruce Springsteen's acclaimed E Street Band, have been busy acting in several great TV dramas ("The Sopranos," "Lilyhammer") and also hosting the popular "Little Steven's Underground Garage" syndicated radio show since 2002, it's easy to see why Steven Van Zandt hasn't released a new studio album in more than 15 years. But heck, it sure is great to hear the singer-songwriter-guitarist back on the aptly-titled Soulfire. The songs here explode with soul, rhythm and blues and the groundbreaking sounds that influenced the rocker in his youth. The title track has Little Steven's raspy vocals perfectly tuned to the soulful rocker's clarion call; "I'm Coming Back" is a lush and lovely reminisce of the past that is bolstered by some creative guitar play and wonderful backing gospel vocals. Lovers of Southern blues will be swept up by the rousing cover of "Blues is my Business," while a tinge of garage rock helps fuel the R&B delight "I Saw the Light." He even even revisits the sounds of vocal harmonies-centered '50s Doo-wop on the winning "The City Weeps Tonight." 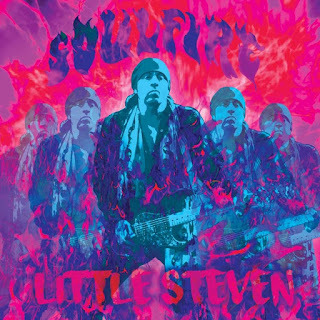 Little Steven and long-time friend Springsteen co-wrote "Love On the Wrong Side of Town," a gorgeous tale of romantic loss adorned with symphonic textures layered atop of Little Steven's emotive vocals. Information: universalmusicenterprises.com or LittleSteven.com. Tell me more: During Bad Company's initial run from 1973 to 1982, the British outfit was a true rock 'n' roll juggernaut scoring hit singles and albums, and filling stadiums on both sides of the Pond. 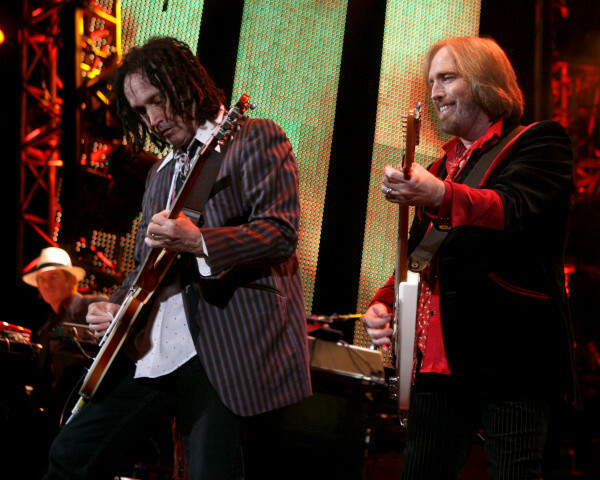 Yet the majority of fans of the supergroup's potent live shows from that period have had to rely mostly on memories or bootlegs to revisit the power of those concerts. 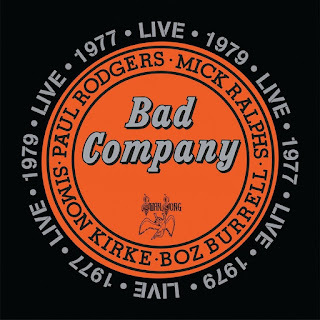 Rhino Records' release of Bad Company's Live in Concert 1977 & 1979 is an epic audio CD release featuring two full-length shows with the group's original lineup of singer Paul Rodgers, guitarist Mick Ralphs, drummer Simon Kirke and bassist Box Burrell. 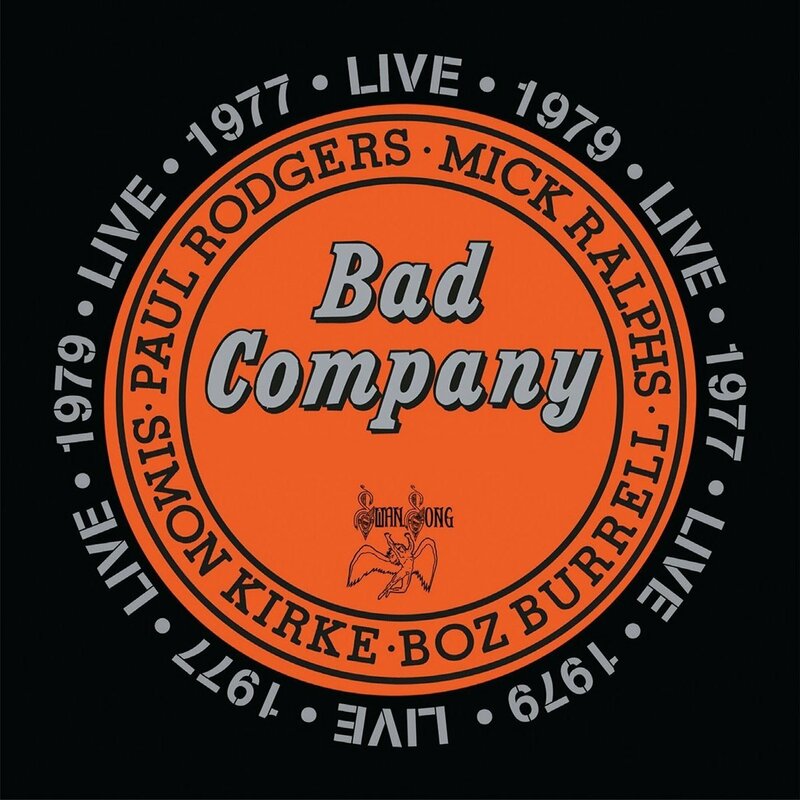 Disc one features Bad Company performing in Houston, Texas in May 1977, while the second disc includes a concert recording taped in Wembley, London in 1979 (and an additional track, a terrific version of "Hey Joe" recorded in Washington, DC that same year). Across the two discs, the band delivers epic versions of their best-known material ("Burnin' Sky," "Ready For Love," Shooting Star," ""Feel Like Making' Love" and more) as well as affecting takes on a slew of other album tracks. Information: rhino.com. Tell me more: The fourth album release from singer-songwriter-guitarist Samantha Fish finds the Kansas City, Missouri native stretching her sonic wings to inject an authentic blend of Motown soul and R&B into her established blues-meets-roots rock brew. Armed with a far-reaching soprano and dexterity on the fretboard to match, Fish has somehow found a musical place that recalls the classic sounds of Motown mixed with electric blues. Recorded at The 45 Factory in Detroit, Chills & Fever teams Fish with a supporting cast that includes a horn section that adds particular magic to the tracks. Standouts on the excellent 14-song disc include the dynamic "He Did It," the playful title cut and lead guitar-anchored "You Can't Go." Information: rufrecords.de. Tell me more: Fastball is back. The Austin, Texas-based trio's new studio album Step Into Light is a wonderful collection of melodic and smart pop-rock tunes sure to please lovers of top-tier songcraft. Fastball's first album since 2009's Little White Lies, the new 12-song set Step Into Light features a wide range of infectious songs including the rocking lead-off track "We're On Our Way," the shimmering power pop gem "Just Another Dream," surf rock-styled instrumental "Tanzania" and the sweeping Americana-flavored title track. 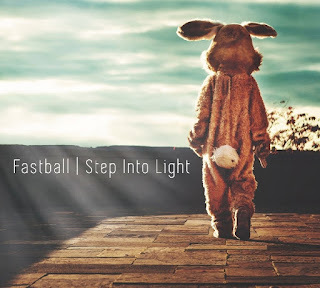 "Step Into Light" also finds Fastball's all-original lineup (Tony Scalzo, Miles Zuniga and Joey Shuffield) stretching their sound as evidenced by the album-ending art rocker "Lillian Gish" and genre-defying "Frenchy and the Punk." 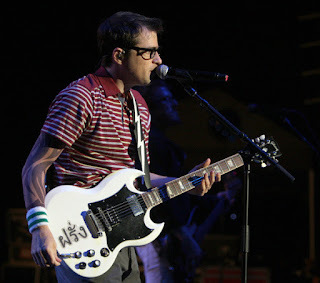 Fastball is on tour, and will be performing at House of Blues in Anaheim on Thursday, June 29. You can get more information on that concert date here. Information: fastballtheband.com. I am very sad to learn that musical great Gregg Allman has died. He was only 69. “Gregg struggled with many health issues over the past several years. During that time, Gregg considered being on the road playing music with his brothers and solo band for his beloved fans, essential medicine for his soul. 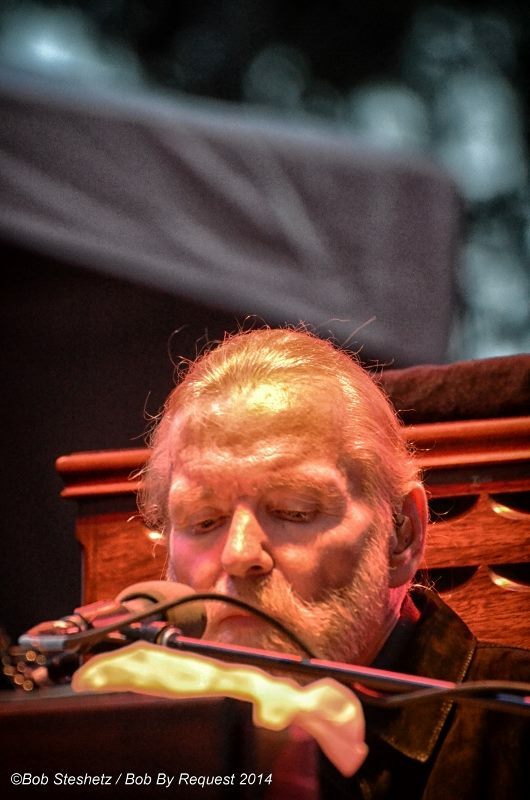 Playing music lifted him up and kept him going during the toughest of times,” according to a statement posted on Allman's official website. "As a founding member of the Allman Brothers Band, Gregg Allman helped give birth to Southern rock, blazing a trail for a generation of musicians who were equally influenced by the blues, Southern soul, and rock. 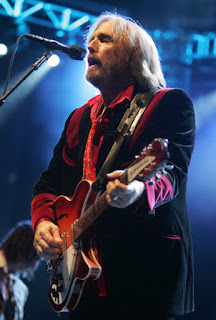 His earthy vocals graced songs that have become rock standards, including "Midnight Rider" and "Whipping Post”, in addition to his own solo records. The band won a GRAMMY® Award in 1995 for Best Rock Instrumental Performance for "Jessica," a Recording Academy Lifetime Achievement Award in 2012, and their groundbreaking album At Fillmore East was inducted into the GRAMMY Hall Of Fame® in 1999. We have lost a pioneering force in American music, and our condolences go out to Gregg's family, friends, colleagues, and music fans everywhere." Gregg Allman, left, with Billy F Gibbons. I most recently got to see Allman when he performed a memorable set at the Doheny Blues Festival in Dana Point in May 2014. See my album review of a tribute collection titled All My Friends: Celebrating the Songs & Voice of Gregg Allman released in 2014 here. Before we all break for the holiday weekend, here is a round-up of notable music news! To mark 30 years since the release of U2's fifth studio album The Joshua Tree, an anniversary edition of the seminal record will be released by Island Records on June 2nd, 2017. 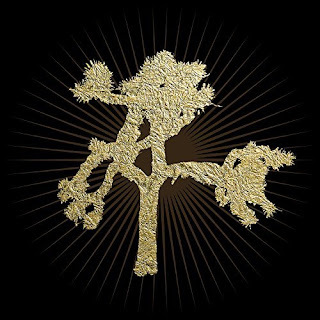 Alongside the 11-track album, the super deluxe collector's edition includes a live recording of The Joshua Tree Tour 1987 Madison Square Garden concert; rarities and B-sides from the album's original recording sessions; as well as 2017 remixes from Daniel Lanois, St Francis Hotel, Jacknife Lee, Steve Lillywhite and Flood; plus an 84-page hardback book of unseen personal photography shot by The Edge during the original Mojave Desert photo session in 1986. Released to universal acclaim on March 9, 1987 and featuring hit singles 'With Or Without You', 'I Still Haven't Found What I'm Looking For' and 'Where The Streets Have No Name', The Joshua Tree went to #1 in the U.K, U.S., Ireland and around the world, selling in excess of 25 million albums, and catapulting Bono, The Edge, Adam Clayton and Larry Mullen Jr '...from heroes to superstars' (Rolling Stone). Time Magazine put U2 on its cover in April 1987, proclaiming them 'Rock's Hottest Ticket' and the 12 months that followed saw U2 create iconic moments including the traffic-stopping Grammy Award-winning 'Where The Streets Have No Name' video on the roof of a Los Angeles liquor store, and go on to win a BRIT Award and two Grammys - including Album of the Year - their first of 22 received to date; as well as a triumphant return home for four unforgettable shows in Belfast, Dublin and Cork in the summer of 1987. The Joshua Tree Photographs by The Edge. An 84-page hardback book of personal never-before seen photography by The Edge, taken during the original Mojave Desert Joshua Tree shoot, 1986 and a folio of 8 rare 12' Anton Corbijn colour prints. Yep Rock has just announced that music fans can now own six Nick Lowe reissues! 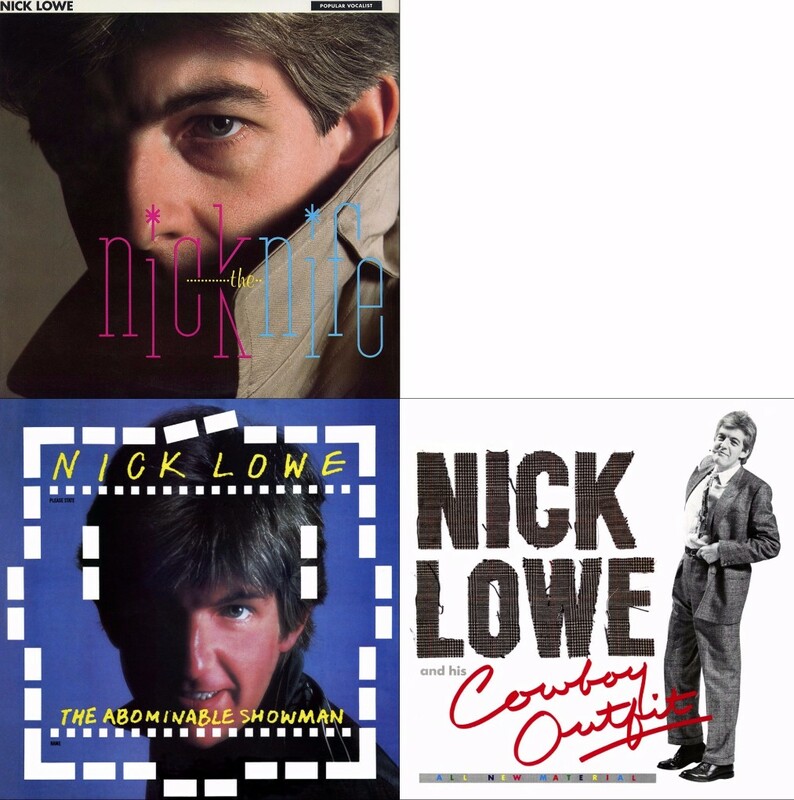 Nick the Knife, The Abominable Showman, Nick Lowe and His Cowboy Outfit, The Rose of England, Pinker and Prouder Than Previous, and Party of One are coming to both CD and Vinyl! When you purchase them from Yep Rock together, you also get a deep price discount and a limited edition Nick Lowe lunchbox for free! Cool. These albums mark the period in Nick Lowe's career where he was experimenting with numerous genres, ranging from roots rock to country to reggae to the pub rock and power pop sounds that he made so famous. These albums are absolutely worthy of second listen and showcase his collaborations with artists such as Elvis Costello, Huey Lewis, Paul Carrack and many more. Bundle all six reissues together and save over 30% + get a limited edition Nick Lowe lunchbox! Click here to order yours. 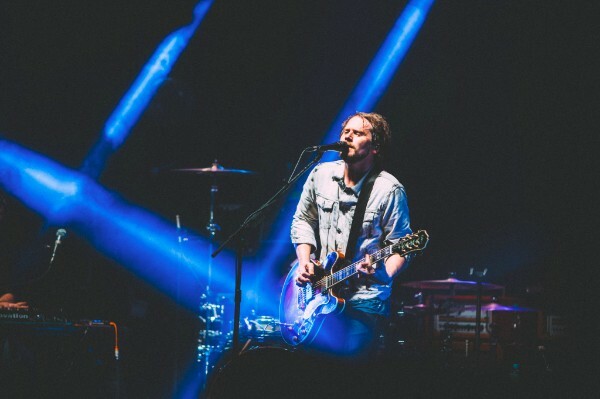 Silversun Pickups will embark on a 30-date amphitheater tour opening for Third Eye Blind. The “Summer Gods” Tour celebrates Third Eye Blind’s 20th anniversary, and kicks off on Friday, June 9 in Miami, FL with stops including New York, Los Angeles, Chicago, Toronto, and New Orleans. Dates below and tickets are now on sale here. Their fourth studio album, Better Nature, which Entertainment Weekly called “…worth the wait,” was released on September 25th, 2015 via the band’s own New Machine Recordings. Produced by Jacknife Lee (U2, Two Door Cinema Club, Crystal Castles) and mixed by GRAMMY winner Alan Moulder (My Bloody Valentine, Nine Inch Nails, Royal Blood), Better Nature is a revelatory manifestation of a band entirely in touch with the muse and each other. Hailed for their inimitable merging of ethereal melodies and pure sonic force, Silversun Pickups are among the most dynamic and creative rock bands of the modern era. From the indie rock opening salvo of 2005's Pikul EP to 2012's far-reaching Neck of the Woods, each successive release has seen the Silver Lake-based band boldly venture into uncharted terrain, bravely pushing their imagination and ability toward new and surprising summits. Their 2009 album Swoon featured the Billboard Hot 100 hit "Panic Switch" and earned the group a nomination for Best New Artist at the GRAMMYs that year. Better Nature marks the debut release from Silversun Pickups' own New Machine Recordings. The label — which takes its name from the Pikul favorite, "…All The Go Inbetweens" — allows the ever-autonomous band to fully determine its own course without any interference. 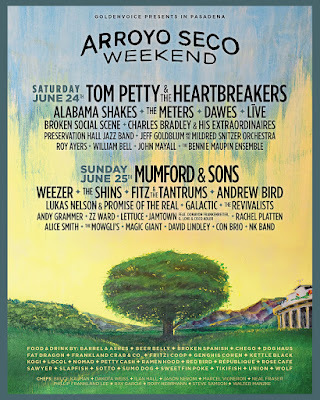 Arroyo Seco Weekend update: Great Music, Chef-Curated Picnic Baskets, Kidspace, more! Goldenvoice's inaugural Arroyo Seco Weekend Festival, coming June 24th and 25th to the shady oaks and parkland of Brookside next to the iconic Rose Bowl Stadium, has announced its chef-curated picnic basket program from celebrated local restaurants Crossroads Kitchen, République, Barrel & Ashes, Rose Cafe and Redbird. A modern take on the classic picnic, each basket is packed with a full three-course meal for two, beverage vouchers, snacks and unique festival necessities. Order your picnic basket now to secure preferred pricing. Available for pre-order from Thursday, June 1 at 10 a.m. via the festival site. Deadline for orders is Wednesday, June 21, 2017. Tom Petty is Arroyo Seco bound. The festival, headlined by Tom Petty & The Heartbreakers, Mumford & Sons, Alabama Shakes, Weezer, The Meters and The Shins, has now added two further artists to the line up: Magic Giant and Rachel Platten. Arroyo Seco Weekend can also reveal details of its unique Kidspace Family Jam created by Pasadena's renowned Kidspace Children's Museum. The museum will be closed for the weekend as its staff joins Arroyo Seco Weekend to create a program of entertainment and interactive activities for families attending the festival. From noon - 7 p.m. each day Family Jam will feature an array of activations, including make your own instruments, jam with drummers, rock star photo booth, instrument petting zoo and create your own concert buttons. More information on the Kidspace event page. U2's North American tour on May 12, 2017. Baskets Include: Entree for two, salad for two, 2 side dishes, dessert, snack and two drink vouchers. Comes with utensils. 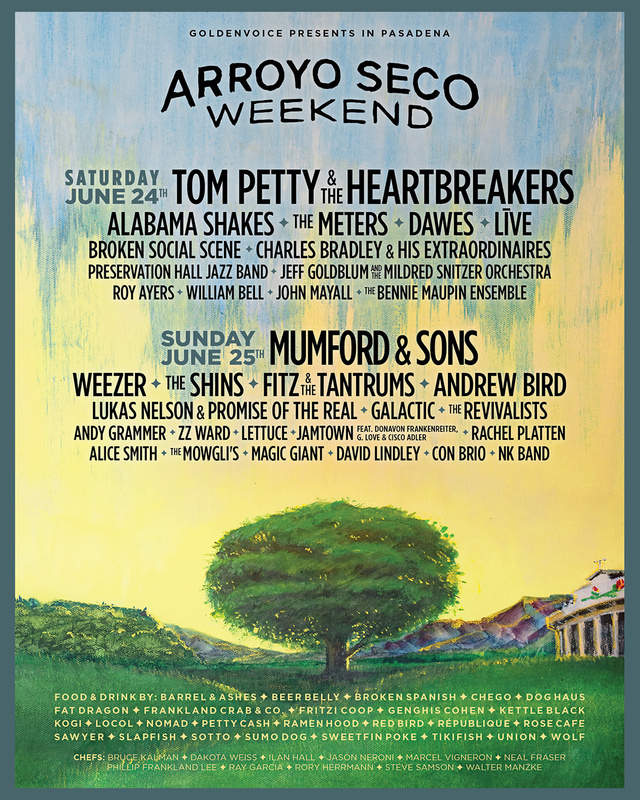 Arroyo Seco Weekend is truly Pasadena taking its name from The Arroyo Seco stream, meaning "dry stream" in Spanish, that passes through Brookside Golf Course and Pasadena from the San Gabriel Mountains. About Goldenvoice: Goldenvoice, creators of Coachella Valley Music & Arts Festival and Stagecoach: California's Country Music Festival, also operates successful Los Angeles music venues including the Fonda Theatre, El Rey Theatre, and Shrine Auditorium. Beginning as an independent punk rock promoter in the early 1980s, Goldenvoice grew to be the preeminent alternative promoter in Southern California by forging strong relationships with both bands and music fans. Goldenvoice promotes over 1400 concerts a year in California, Nevada, Alaska, Arizona, Hawaii and Canada.